A secret Victorian garden provides the romantic setting for Maple House. The wild gardens with steps down to a fish pond once belonged to the 1862 Roches Royal Hotel. The hotel has vanished and only the old garden known as the "Rockery" with its exotic trees and stone steps remains. 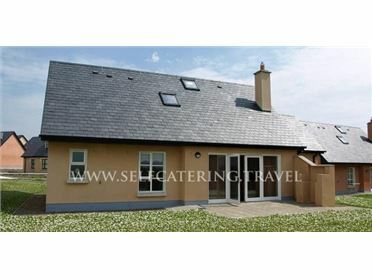 The secluded house has views across the Dromgarriff golf course and its own pathway to the shore overlooking Garnish Island. Downstairs: Large kitchen/dining room, living room, open fire, 2 bathroom, 2 bedrooms (1 double with bathroom en suite, 1 twin bedroom), terrace. Upstairs: Loft Gallery, 1 twin bedroom. Facilities: Oil system central heating, washing machine/dryer, dishwasher, TV.